Season’s Greetings and Best Wishes. May Your holidays be happy days filled with love. Wish you have a Merry Christmas and a Happy New Year. Best wishes for a blessed Christmas & a joyous New Year! Hope Christmas and the New Year bring you joyful hours. May all your Christmas & New Year wishes come true! I wish you all the best in the coming year 20○○! 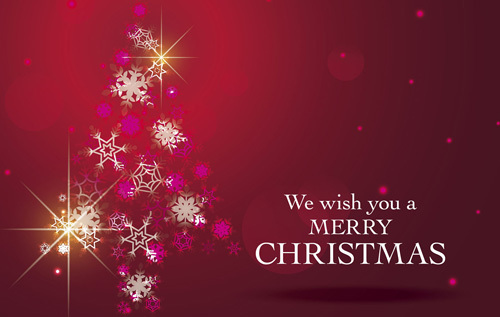 May your Christmas dazzle with charms & may the coming year shine with happiness. Christmas is such a special time of the year for me. May peace,love,and laughterfill your holidau season. Cone share the Holiday Cheer! Merry Christmas to my angel. Santa’s got a surprise for you! Hope Santa’s good to you this year! Hoping your Christmas is sweet. Oh,what a joy Christmas brings! A Christmas greeting from the heart. May all the joys of Christmas be yours. May the magic of Christmas shine your heart. Wishing you a Bright and Happy Holiday Season. Wishing you Happy Hokidays filled with good times! The Christmas star spreads love near and far. A message of good cheer at this happy time of year. Best wishes for a bright and beautiful holiday season. Wishing you every joy this Hokiday Season and always! Love and Joy,May your holidays be beautiful and bright. Wishing you a Christmas filled with Love,Joy and Peace. All the bells of heaven chime…bringing joy at Christmastime. I want you to know that I’m proud of the life we’ve made together…I’m proud of the wonderful man you are…Merry Christmas with all my love. I hope your Christmas is as Happy as I am to have you for a friend. while joy is scattered everywhere! May all the joys of Christmas fill your home with happiness,love and warmth. The trees are ablaze with twinkling lights…but you give me the most delight! Joyous bells of Christmas are ringing for you!